Lottery games come in different forms and the only constant is that they award large amounts to lucky winners, without demanding a sizable investment. This is what makes it so attractive for people from all the walks of life and that’s why the number of players continues to grow regardless of the economic context. 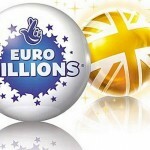 The scratch lottery makes no exception and despite the fact that the prizes are significantly lower, the number of interested players has been just as high. 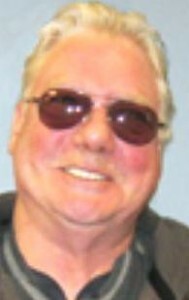 Success stories such as the one told by a Quincy man who recently won $1 million on such a scratch ticket, are only going to boost the enthusiasm of fellow players. The lucky winner goes by the name of Edward R. Denien and he recently collected a check worth $1 million after beating seemingly insurmountable odds. He bought a scratch ticket knowing that the odds are stacked against him, but he didn’t let the fact that his chance was one in 1,260,000 discourage him. 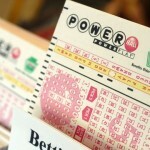 From a lottery player’s perspective, these are not so bad, especially when compared with major lotteries such as the Powerball or Mega Millions. The difference resides in the fact that while the aforementioned lotteries award tens and even hundreds of millions, a scratch lottery only offers single-digit rewards. $1 million is nothing to frown upon, and Edward is surely thrilled with the fact that he won this amount in a scratch lottery. On the other hand, this is only one of the eight prizes of 1 million and there are three larger jackpots to be won, 2.5 times higher. The promotion began in October and the $10 Winner Green game is only one of the many scratch lotteries out there, with players purchasing tickets nationwide. Although lottery officials and the media frequently cite the official numbers, and in this particular case the scratch lottery jackpot as $1 million, Mr. Denien got significantly less. The reason for why he won’t get the full amount is that he chose to receive a lump payment amount, which stands at $433,000 after taxes. This is how things go and those who don’t have the time or patience to accept the annuity will see a part of their money withheld by the lottery or taken by the authorities. While he will receive less than half of the total amount, Edward will still have more than enough to pay his mortgage and enjoy a debt-free life. 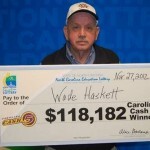 It is not something that many Americans can brag about, so it is only fair to say that the scratch lottery changes his life dramatically and for the better. After paying his mortgage, Demien intends to use the remaining amount to pay for his grandchild’s education. 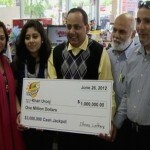 Check out the One more lucky $1M lottery winner as well.